Hope you had a great weekend and are ready for another set of inspiration photos. 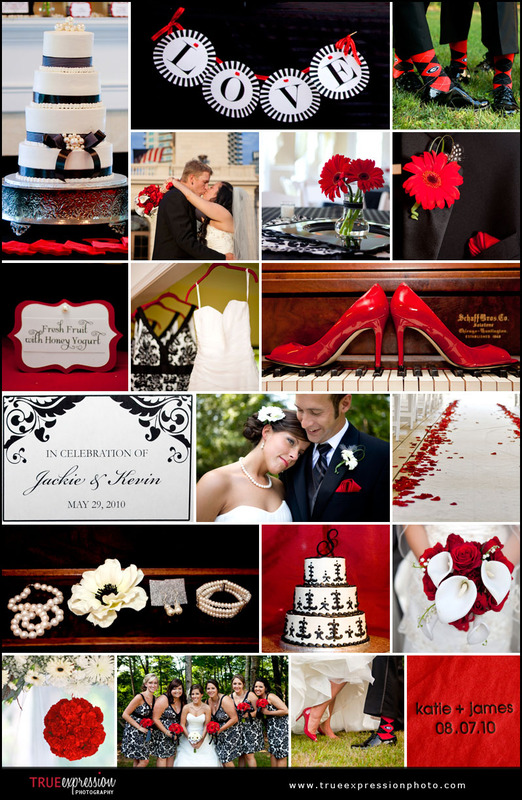 I thought I would share with you a little black, white and red inspiration for your Monday afternoon! I have been having so much fun looking through all last year's weddings to put these inspiration boards together. I just love the way the bright red just pops in these weddings!